There are over 2000 Lakes in Tajikistan but they take up only about 1% of the territory of the country. Many of them were formed by earthquakes and rock slides creating natural dams. Although It can take some work getting to them, they are often found in some of the most picturesque gorges you'll ever see. This struggle is a fact of life for people living in the isolated mountains of Central Asia. Home to some of the most challenging and impassable sections of the ancient Silk Road, these extreme landscapes have traditionally been an economic barrier for the local communities. Today, they are finding ways to turn their mountains into an economic advantage — a sustainable resource from which they can build sustainable livelihoods. As in many Muslim cultures, cleanliness and hygiene are very important in the Pamir. When eating in a Pamiri home, your host will present you with a shallow washbasin and offer to pour some water over your hands (from a pitcher like this one), so that they will be clean before you start your meal, and then he will bring it out again for you to wash them a second time after you are finished eating. I’ve always been attracted to hiking, climbing, and spending time outdoors, but my interests took on a new meaning in college when I met an incredible girl named Veronica, from one of the most mountainous places on earth: The Republic of Tajikistan. We fell in love and eventually got married. Not long after, Veronica’s student visa expired, which required her to return home. To avoid deportation, we moved to her hometown along the Silk Road in Tajikistan. While in Tajikistan, I was captivated by the imposing mountains and lush valleys, but also challenged by the insurmountable obstacles that locals face as they build futures for themselves and families. Although there were, and still are, few work opportunities in the region, some innovative locals have discovered a ray of hope through the development of community-based tourism, adventure travel, and hospitality initiatives. Unlike mainstream tourism, which often involves all-inclusive packages and multi-national tours, community-based tourism takes place in rural regions that are often poor or economically marginalized. Local residents welcome travelers into their own homes and villages, enabling them to earn incomes as land managers, entrepreneurs and service providers. Through this model, travelers participate in genuine cultural exchange while locals benefit from hyper-local spending. 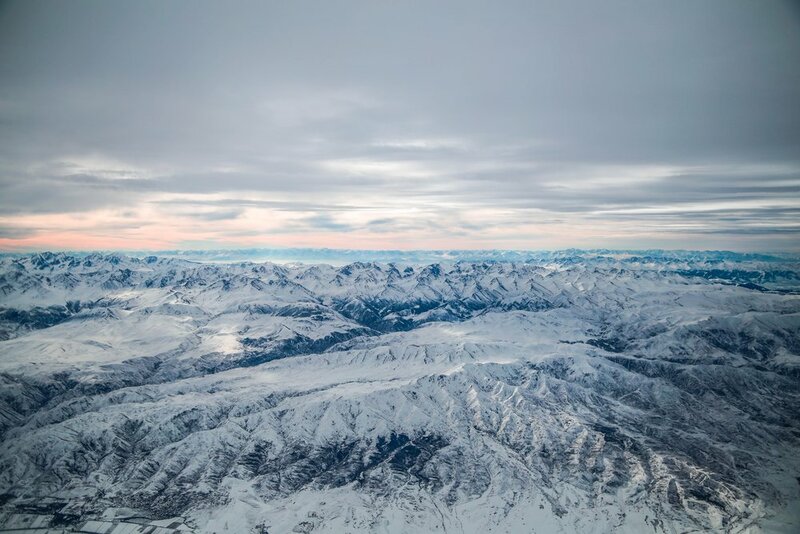 With the highest mountain ranges in the world, no shortage of breathtaking landscapes, and kind-hearted locals, Central Asia is an unparalleled destination for adventure travelers. Unfortunately, it can be nearly impossible for people to find dependable information online regarding the logistics and accommodations necessary to live this hyper-local experience. A beautiful woman preparing to cook some stew over an open fire outside her home in the village of Barchidev. In these isolated, high-altitude valleys people often raise trees that, only after decades of cultivation, can be harvested to build the frames for their homes. Stones are the main construction material for traditional Pamiri houses. Stacked between the wooden beams, they are inserted one-by-one on top of each other like a giant jigsaw puzzle and then coated with an outer layer of adobe, which is a mixture of mud, straw, and rock salt. Veronica and I are now living back in the U.S. (she’s now a naturalized citizen of the United States), while I continue to work with the local entrepreneurs in Central Asia I’ve met throughout my adventures; helping them market their guiding & hospitality ventures. To further this mission, I have been working for the past several months on an exciting project with the mission of raising awareness and sending a small group of travelers to Central Asia. Together we’ve built a true adventure, guided by a team of locals including Ruslan, a Kyrgyz hunter who raises and trains Berkut Eagles for hunting foxes, rabbits and other animals for meat and pelts. We became friends last year while visiting his small village in Kyrgyzstan, where he told me about his long family heritage of falconers who raise birds of prey. Today, the countless hours Ruslan spends training his eagles not only provides food and furs for his family but also provides over 50% of his annual income, through demonstrations and eagle shows given to visitors. Ruslan is from a nearby village and is a traditional Kyrgyz falconer who raises and hunts with Berkut Eagles (a subspecies of the Golden Eagle - they're bigger and found only in Central Asia). Falconry is a legacy that has been passed down in Ruslan's family from generation to generation. It was incredible to see his love for his eagles and his passion for this ancient art form. The more I learned about the passion and rich tradition that inspires Ruslan, the more I wanted to experience the nomadic lifestyle that his ancestors led; sleeping in yurts, hunting on horseback with their eagles, and herding their flocks in high-mountain pastures. He and I started talking with his friend Mir, who is an experienced mountain guide in the Tian Shan Mountain Range. Together we have created a one-time experience involving the community, while embodying the beauty and nomadic style of the Kyrgyz culture.